This book is for the mama that finds herself in the pharmacy trying to figure out what medicine is most natural for her kid’s cough. This is for the mama that doesn’t want to take her kid to the urgent care for a cold. 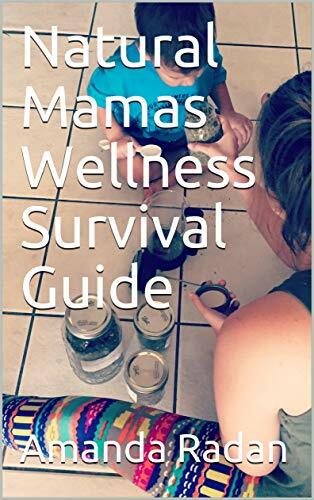 This is for the mama that wants her family healthy and is interested in natural remedies. This is for the mama that knows there has to be a way to do it herself, that deep knowing, but doesn’t know where to start. I was that mama! So this book is me sharing what I’ve found and what works for my family. It’s me sharing a whole lotta love with all of you mamas. It’s the gift of natural health. The gift of empowerment that, you too, can take care of your family at home. I’m Amanda, I’m a herbalist, holistic nurse, Reiki master, mother, and wife. I use all of these remedies with my family, and on myself, any time we get sick. In our house the order of natural hierarchy goes: food, herbs, folk remedies, energy medicine, and homeopathy. A lot of time we are good to go after the first two! I hope you enjoy my book and that you and your family stay healthy this season. This book contains some awesome herbal knowledge on some of my favorite plant allies. It includes recipes and old folk remedies to help fight off sickness and to help with general wellness.